This is a gem of a book filled with sparkling jewels of new insight and new information — for Shakespeare lovers of any kind. Chuck Berney has been a leader in the field of Shakespearean authorship and of the Oxfordian movement for many years, but he is also, by nature and experience, beyond and above such labels or definitions. A veteran of the U.S. Army and a Doctor of Physical Chemistry, here is a man of scientific background and large, intuitive vision, one who writes much in the way he speaks — directly, personally, honestly, amusingly, as he continually surprises. 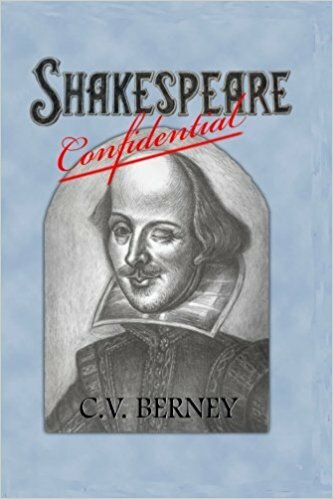 Shakespeare Confidential brings together Berney’s many pieces of writing over the years, starting with ten short essays on film versions of various Shakespeare plays, immediately followed by wonderful pieces such as “Legend of the Round-Earthers” and “Six Reasons Why Stratfordian ‘Scholarship’ is Bad.” And there’s much, much more — from Walter Scott to “The Spanish Tragedy” to Robert Dudley, Earl of Leicester (“Portrait of a Serial Killer?”) to other topics including one on “Billy Budd and The Monument,” referring to a relationship between Herman Melville’s nineteenth-century novel and my book about Shakespeare’s sonnets. Berney makes a strong and perceptive case that Melville was depicting Edward de Vere the seventeenth earl of Oxford as “Captain Edward Vere” and Henry Wriothesley the third earl of Southampton as the young, handsome sailor Billy Budd, who is accused of helping to lead a mutinous plot, much as Southampton was accused of co-leading the Essex Rebellion of 1601 against the government.